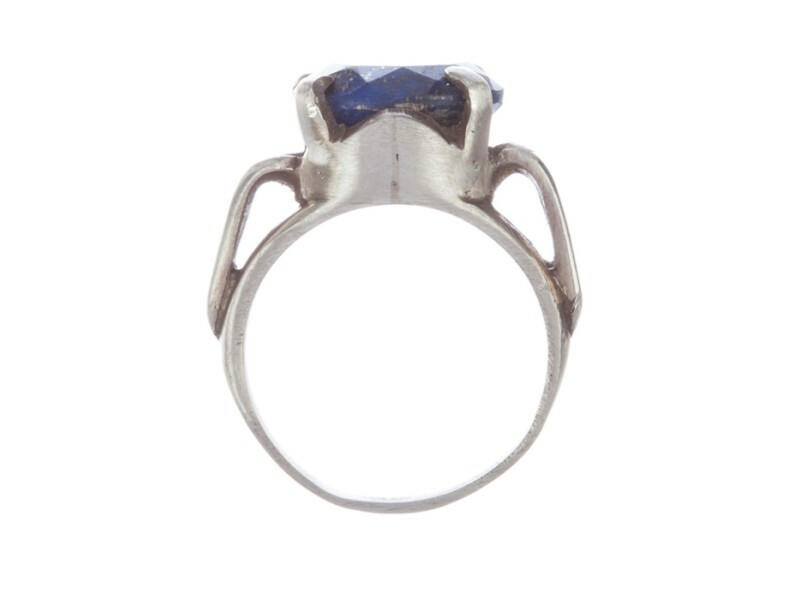 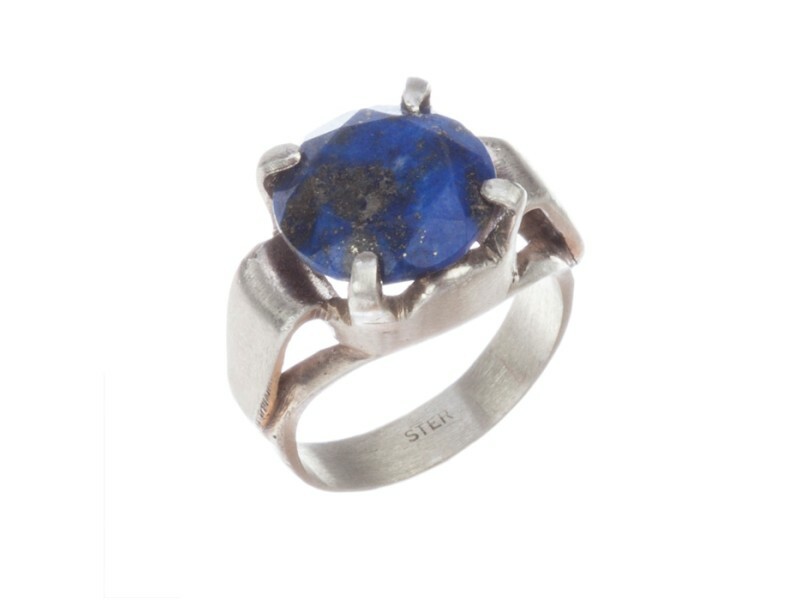 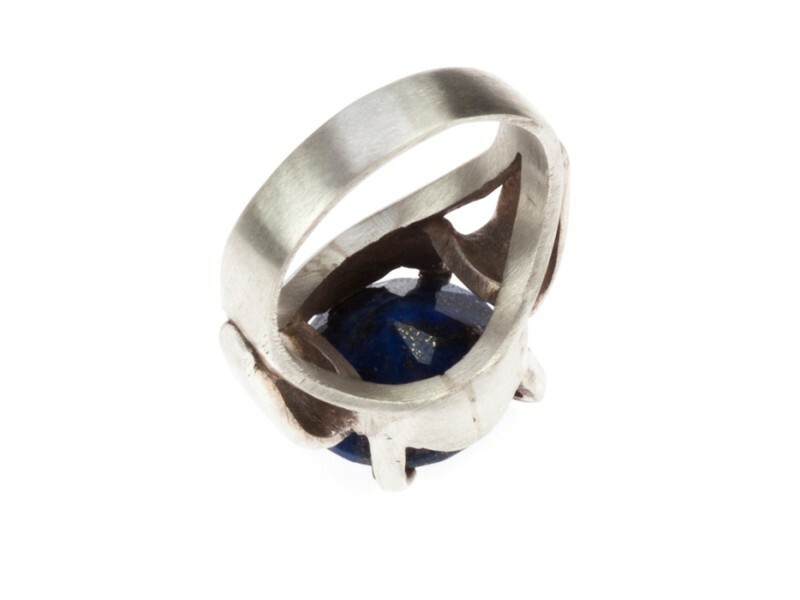 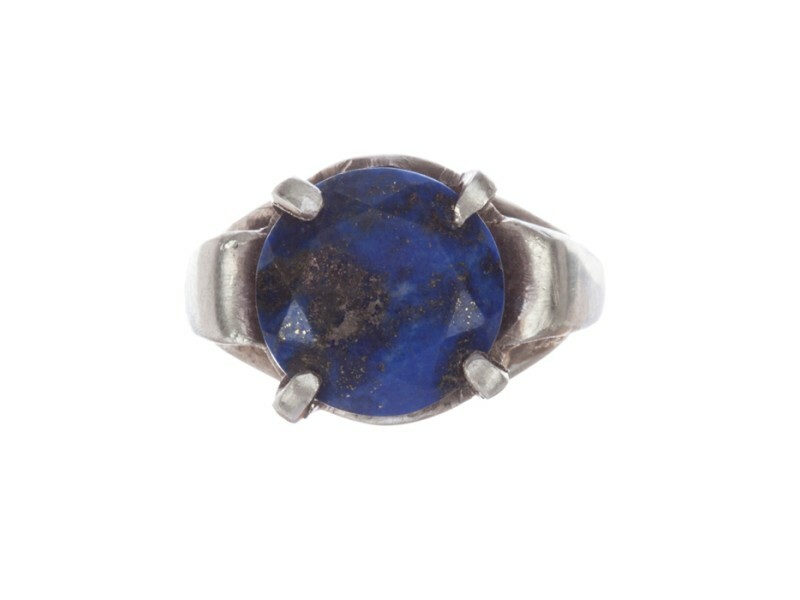 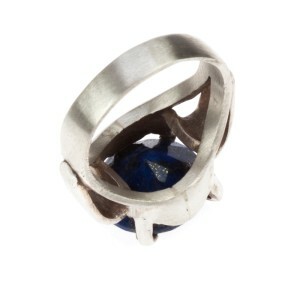 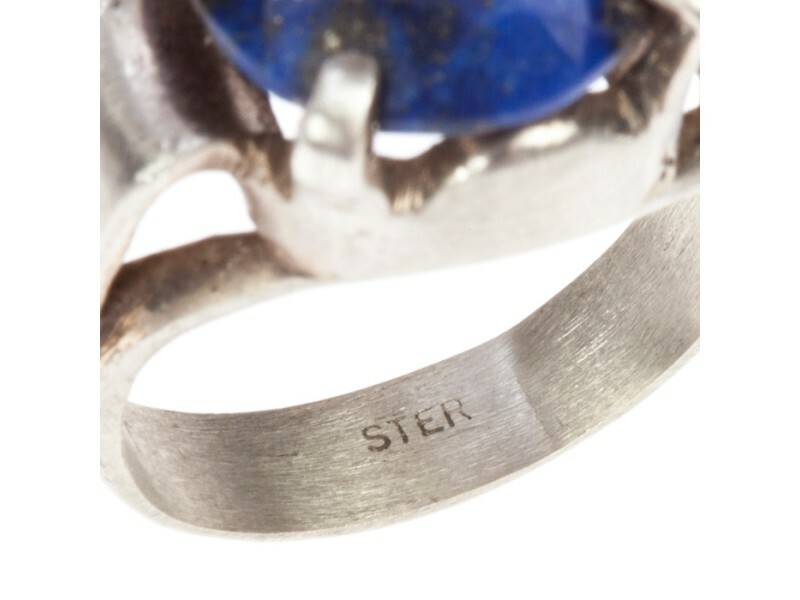 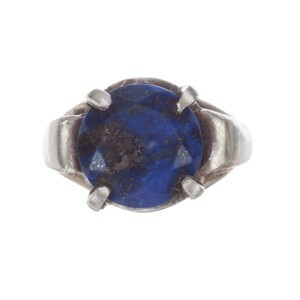 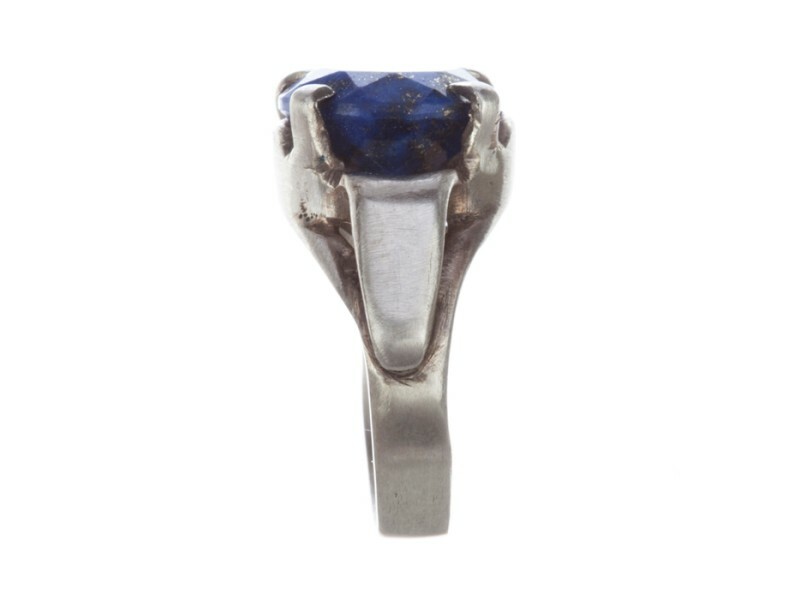 Fabulous sterling silver ring with a prong set lapis lazuli stone. 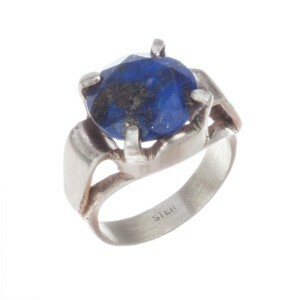 Lapis lazuli stone measures 13 mm’s in diameter. 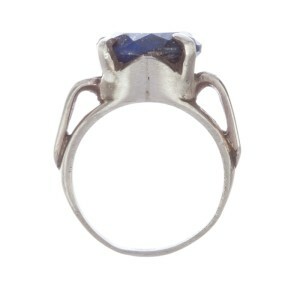 Band of the ring is 4 mm’s wide. 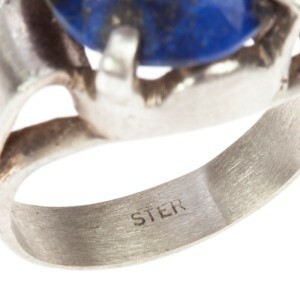 Marked, “Ster” for sterling silver and acid tested. 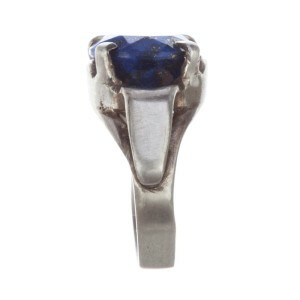 The ring will look great on both man’s and woman’s finger!